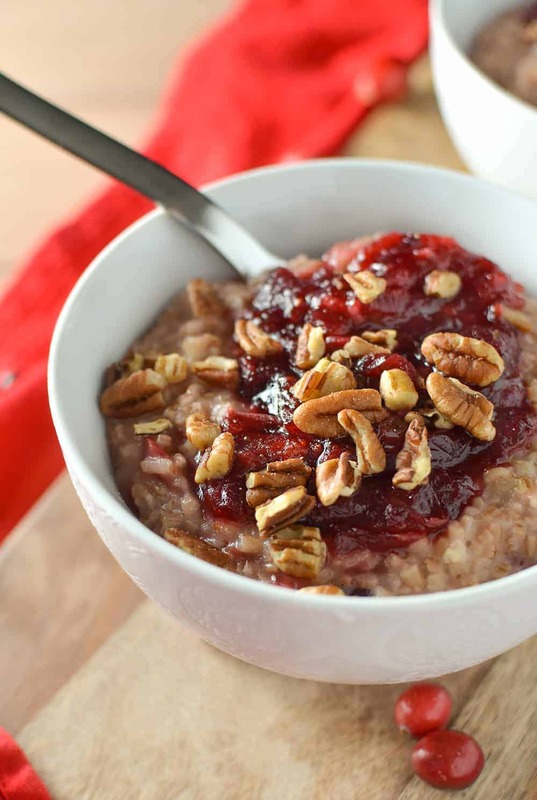 Cranberry Maple Steel Cut Oatmeal! 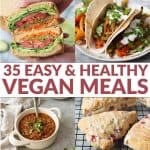 This healthy, vegan and glutenfree breakfast is packed with holiday flavors! Fresh cranberry maple sauce, orange zest and pecans. Returning home from the most amazing weekend filled with family, laughs, and so much food. So much food. Gah. The thought of having to cook today, blah, no. Thanksgiving weekend, you were amazing, but I need to quit you. I just want to detox in my own way, going for an incredible run and filling my body with nothing but nourishing, plant-based foods. I do this alllll the time. Like, all the time. I know that certain foods zap my energy and leave me feeling sluggish, exhausted, and unsatisfied —> I’m looking at you cheese curds, stuffing, pumpkin pie, and fistfuls of chips. So, when I overindulge in these -plus countless others- I know I’m not going to feel my best afterwards. I’m in need of a diet overall, cutting out the refined grains/sugars and replacing them with foods that make me feel energized, happy, and well. Since breakfast is the first meal of the day, I’m starting here. I know that when I start my day with a healthy, satiating breakfast, I’m more motivated to continue to make good choices. 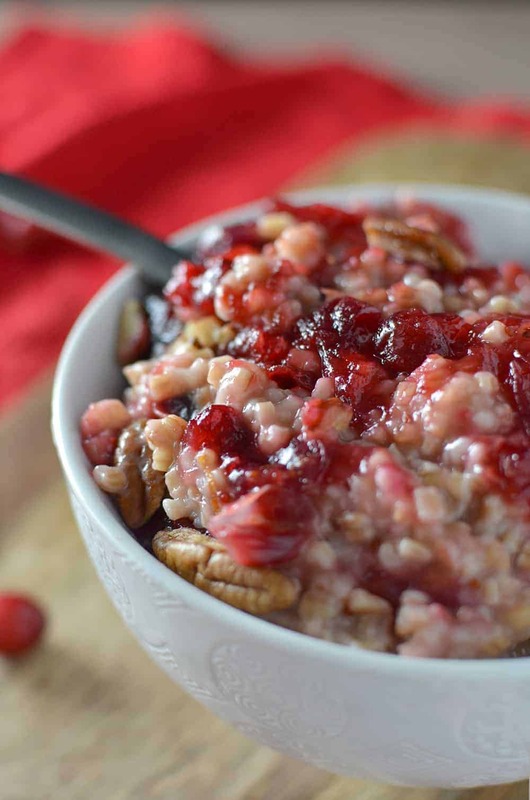 This cranberry oatmeal is just what the doctor dietitian ordered. Steel-cooked oats simmered with a maple-cranberry sauce and topped with toasted pecans and orange zest. It’s nurturing, packed with vitamin C and fiber, and the perfect reset button to a heavy, indulgent weekend. Ironically, I made a similar version of this sauce for a cocktail recipe that I shared on the HUM nutrition blog last week and had been craving ever since. Fresh cranberries, simmered until they burst, and then lightly sweetened with 100% pure maple syrup and fresh orange juice. It’s a lightened-up version of my cranberry orange bread, bursting with fresh, tart flavor that pairs perfectly with hearty oatmeal. Cranberry lovers, health seekers or oatmeal fanatics, this bowl is for you.❤️ Freeze any leftovers in individual size containers for a quick, on-the-go breakfast or snack. 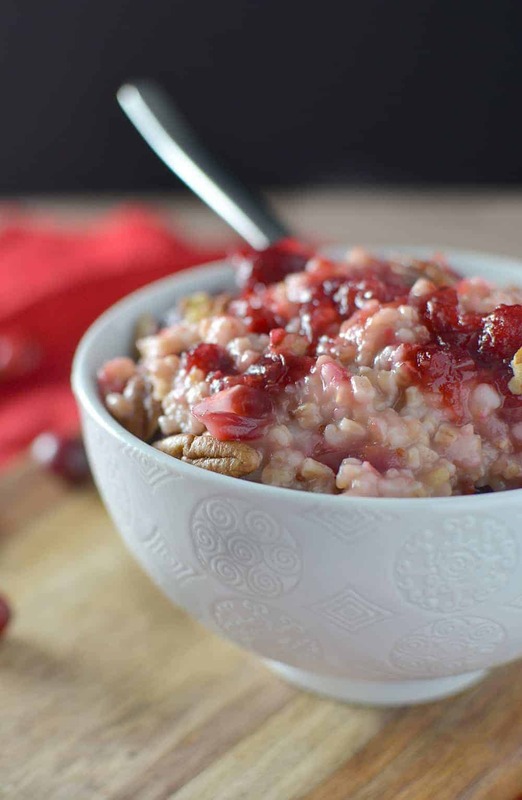 Cranberry Maple Steel Cut Oatmeal! 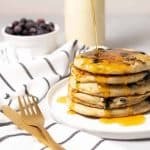 This healthy, vegan and glutenfree breakfast is packed with holiday flavors! Fresh cranberry maple sauce, orange zest and pecans. A must-make! Serves 4 bowls. Bring 2 cups water and salt to a boil then add steel cut oats. Reduce heat to a low simmer. Cover and cook, stirring occasionally, 15 – 20 minutes, depending on how chewy you like your cereal. Stir occasionally. Remove from heat and let stand covered for a couple of minutes before mixing. Meanwhile, make the cranberry sauce. 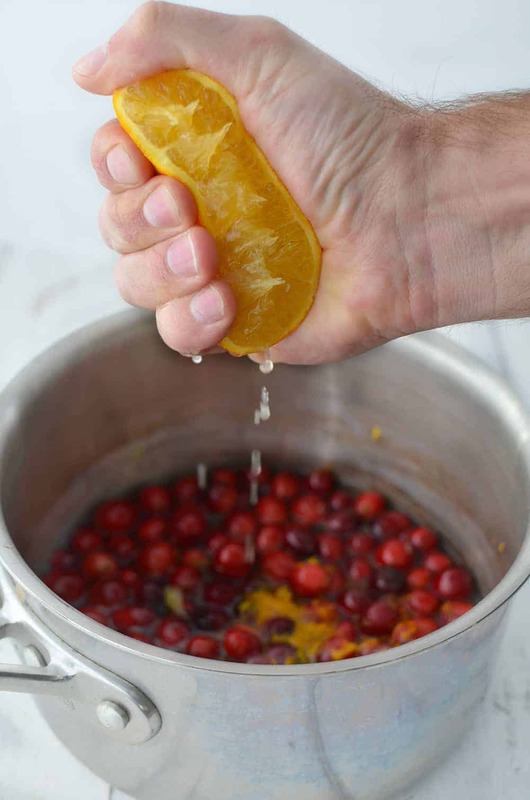 Combine cranberries, water, syrup, and orange juice in a medium-sized saucepan over low heat. Bring to a gentle simmer and cook until cranberries have softened completely and liquid is bright red, approximately 10 minutes. Mix 1/2 of the cranberry sauce into the cooked oatmeal and stir until incorporated, adding more syrup if desired. Divide oatmeal among 4 bowls and top with remaining cranberry sauce, pecans and orange zest. This oatmeal looks like absolute perfection! Im in love with cranberries!!! noms!